Robert Repino grew up in Drexel Hill, Pennsylvania. After serving in the Peace Corps, he earned an MFA in Creative Writing from Emerson College. He is the author of Mort(e), the first volume of the War With No Name series. His fiction has appeared in The Literary Review, Night Train, Hobart, and The Coachella Review. He lives in New York and works as an editor for Oxford University Press. 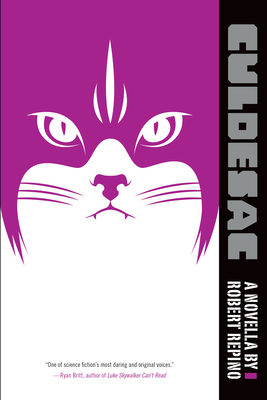 "Repino imbues a startling sense of realism to a story about an intelligent cat’s desire to wipe out humanity; Culdesac’s story is not only tense and violent, but oddly emotional and touching." "The ideas of instinct, intellect, and belief come into play in a postapocalyptic world where bestowing “humanity” on those lacking it may result in extinction for all. This mix of George Orwell’s Animal Farm and dystopian sf creates an unusual and unforgettable read."